Bro, you should know by now that breakfast is the most important meal. It sets you up with energy to smash the day and it’s the perfect time to stock up on muscle-building nutrients. 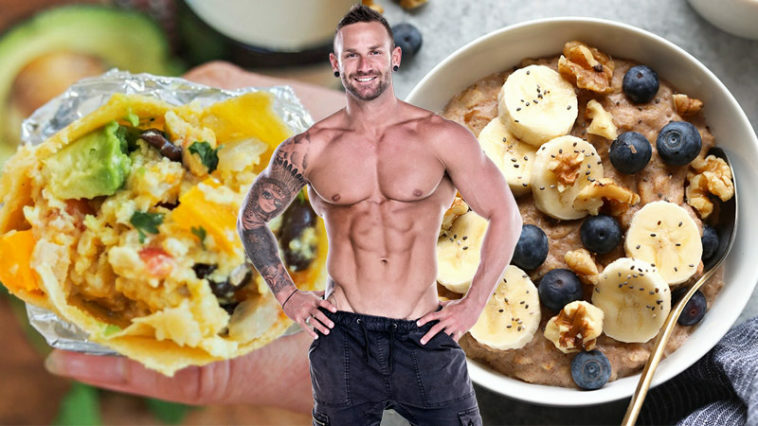 So, get inspired to break the fast the fat fighting way with SpotMeBro’s five best weight loss breakfasts. Conclusion – So, what’s the healthiest breakfast in the world for weight loss? First up, let’s be real. You’re not just here for weight loss, are you? No way. 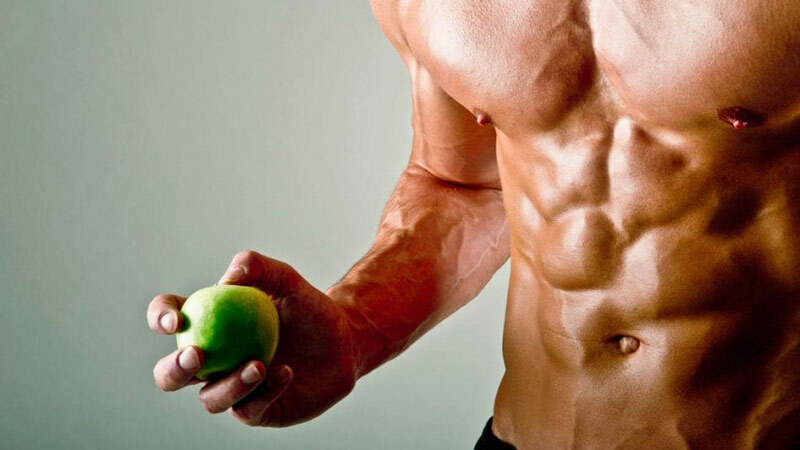 You want sustainable fat reductions that’ll eventually leave you shredded! That means you’re gonna have to be smart about your food choices. We’re not here to tell you to cram lettuce into your face or feast on fresh air in the early hours. No way, bro! That sh*t’ll turn you into a skinny boy BETA quicker than a Twilight movie marathon. Now, we’re not saying you’ve gotta chow down on steak every morning. We’re not saying don’t eat any carbs or fats either, bro. SpotMeBro are all about finding a balance with our weight loss breakfasts. Blazing in at only 78 calories for one large egg, these tiny suckers pack a punch. Not only are they full of protein with 13 g per 100 g, but their bioavailability rating rolls in at 100 too. This means their complete amino acid profile is easily absorbed by you (m)animals . Plus, every egg is jam-packed with other nutrients. The yolk is crammed with testosterone boosting vitamin D, alongside Choline which is essential for the normal function of all cells. Bolster your breakfast by poaching two or three of these guys in a pan of boiling water. Cook until slightly firm and runny if that’s your style. Then, once they’re ready to go, set them on top of two slices of wholemeal toast. Top with crunchy black pepper, scatter some lightly steamed spinach, and then devour. You’ll bag yourself 12-18 g of protein, a bunch of healthy fats, and all the iron-rich omega-3 goodness of leafy greens. Wash it down with a hot cup of joe and you’re good to go. Bro tip: Add a pinch of salt to the pan during the boil and a splash of cider vinegar to help the whites stay together. Don’t be fooled by their humble appearance – oats are amazing. Not only are they super versatile but they’re packed to the brim with weight loss breakfast benefits. There’s a reason everyone from top IFBB pros to the stacked Hollywood megastar Hugh Jackman eat ‘em up. Oats are an all-encompassing source of protein, complex carbs, and dietary fiber, making them the ultimate breakfast food. 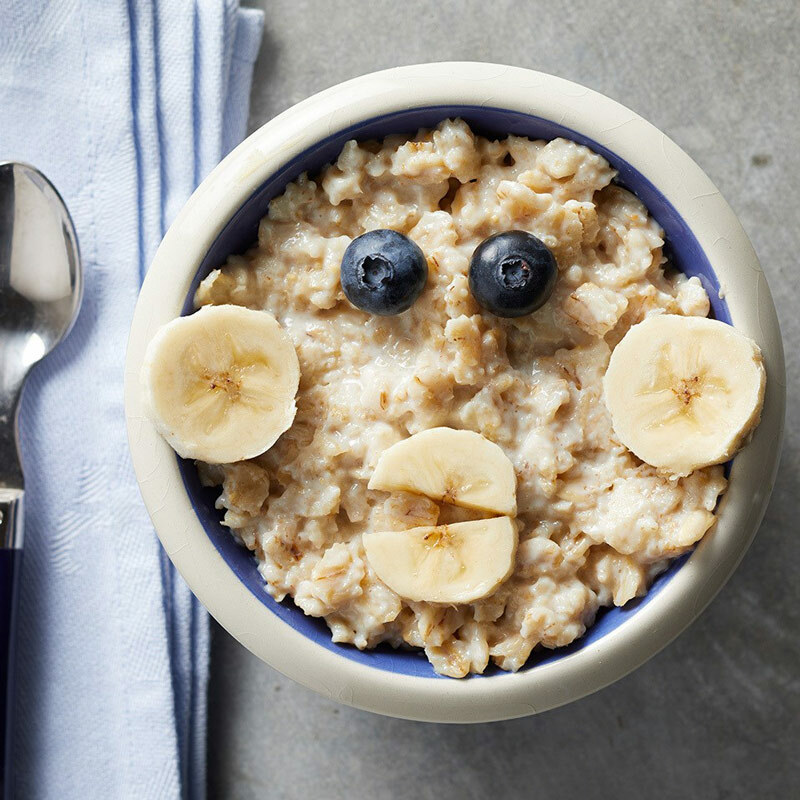 The high-fiber content of oats means they’ll keep you full well into the afternoon. So, you can forget chewing your first before 11 am and upsetting the office with your bouts of hanger. Plus, because they’re crammed with complex carbs, you won’t get a sugar crash the minute you leave the door. To eat oats for weight loss we recommend you grab the least-refined kinds. Steel cut and rolled oats are your best option, as they’ll digest slower in your system. Cook ‘em up with a splash of unsweetened nut milk, a scoop of protein isolate and a teaspoon of chia seeds. Bring to the boil slowly before immediately turning down to a simmer. Why berries? Well, two reasons mainly. Firstly, they’ll help crush any sweet cravings you have, which means you’re less likely to sneak in a morning muffin on-route. Secondly, berries are high in satiating fiber, topping up the feeling of fullness from the oats. Want to get the most from your oats? Check out these other muscle-building oatmeal breakfasts. Bro tip: Stir in your protein powder with the dry oats first before adding any liquid. This makes the whole process quicker and easier. Banana gets a bad rap from the weight loss crew. In fact, all fruit is often demonized because of it naturally occurring sugar content. But don’t be fooled bro, fructose is nothing to fear. Berries and bananas are brimming with naturally occurring fiber, health-boosting vitamins, and fructose is awesome for energy. Smash a banana and berry protein smoothie before tackling the day and you’ll be ready for anything. Plus, when it comes to weight loss, we’re all about foods with the most bang for their buck. So, it’s good to know berries are super-low in calories meaning you can have your fill without breaking the energy bank. Okay, maybe peanut butter is dense on the kcal front. 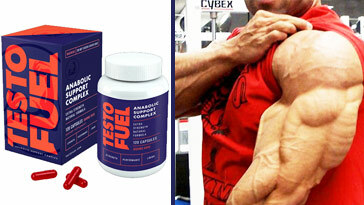 But it’s healthy fat content will crush cravings whilst providing healthy testosterone boosting omegas. Just try not to overdo it and you’ll be all good. Bananas are said to help burn fat and decrease appetite meaning they’re where it’s at for weight loss. 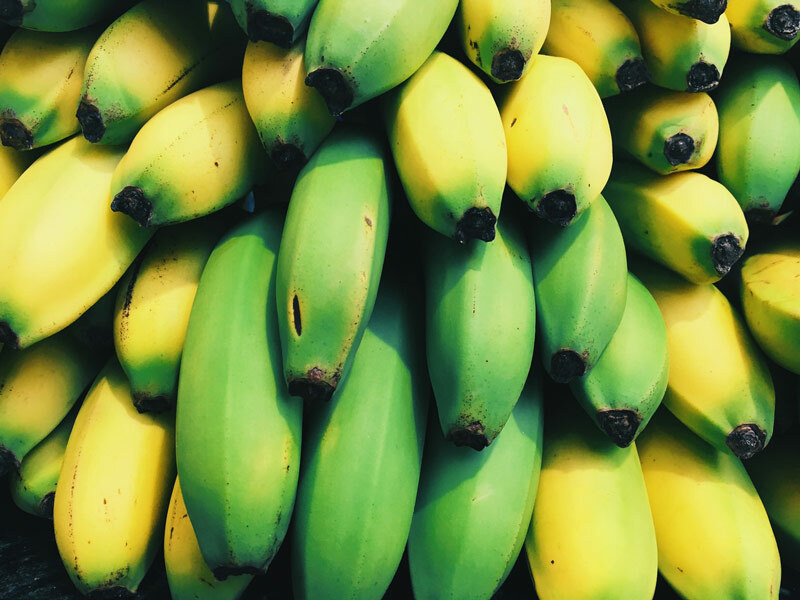 This is because they’re stacked with resistant starch, which feeds good bacteria in the gut and aids the production of a short-chain fatty acid called butyrate. Butyrate is the boy because it increases fat burning by telling the body to prioritize fats over carbs. Ultimately this means that your body will target stubborn fat first, whereas it would have headed straight to the carbs you’d recently eaten. Oh yeah, and just to hammer-home why we love bananas, studies also show they stop you feeling hungry too . If you’ve been known to turn into a hangry bear when you’ve not had your fill, we’d recommend bagging yourself a bunch of these fellas. Hear that? That’s the sound of still-chubby mega-hungry banana haters getting mad at science again. When will they ever learn? So, grab the smoothie maker, slice and dice your ingredients and throw them in with unsweetened almond milk. For most bros, a handful of berries and two medium bananas is enough breakfast fuel. Once you’ve reached a smooth consistency, add a scoop of protein power followed by the frozen spinach before blitzing again. 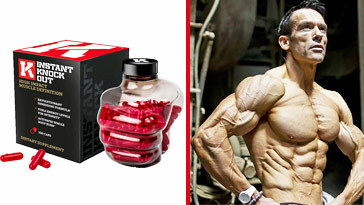 SpotMeBro recommends you opt for a protein isolate and not a bulk-powder to keep excess cals under control. Serve up in a shaker to take on the move or spoon out for a sweet smoothie bowl. It’s your call, bro. 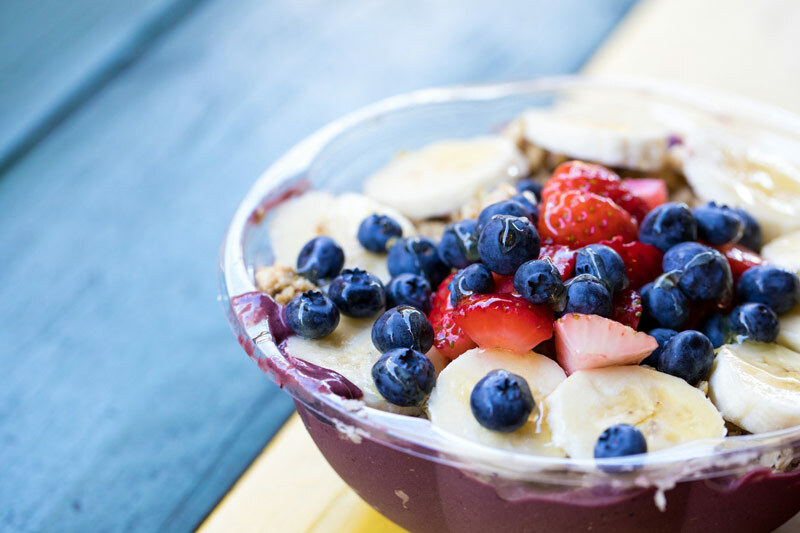 Bro tip: Freeze your banana and berries for a seriously summer-worthy weight loss breakfast. Okay, bro, we hear you. Not every dude wants to drink their breakfast or stick with the traditional morning spread. Some of us want something a little different to kickstart the day. Stepping in all the way from dinner-ville is the spicy turkey mince scramble. Who says we’ve gotta save the bird ‘till dinner? We’ll feast on almost 20 g of protein per serving when we like and nobody’s gonna stop us. Mix up your morning routine by adding a lean protein source (turkey mince) to an already amino dense pan of scrambled eggs. But don’t just stop there, bring in all the flavors of the afternoon by tossing in spicy habanero sauce alongside sautéed bell pepper, onion, mushrooms, and crunchy asparagus. Because turkey mince has a super low saturated fat contents it’s an ideal addition to any meal, especially breakfast. Because of turkey’s high protein content, it’ll help you maintain muscle whilst crushing it in a calorie deficit. Fry up the turkey mince in coconut and MCT oil in one pan with your veg. Make sure your mince is cooked all the way through and piping hot before taking it off the heat. Then, in another pan, whip up three medium eggs with the yolk removed from one of them. For a creamy scramble take extra time to whisk up your eggs first. Toss in your spices before combining both pans. Give your mince a quick blast of heat first before combining it into the ultimate spicy scramble. Sometimes you just need a breakfast burrito to get things kicking. However, rather than dive straight into the rice, guac and fiery chicken, we’re sticking with savory morning munchies. Whole-wheat tortillas offer up a serving of complex carbohydrates that can be broken down steadily for energy. Our digestive enzymes really have to work when breaking down their complex chains of sugars, meaning we’ll be sustained well up to lunch bro. Remember how hard we hammered home the protein thing? We’re gonna cover that base with black beans, scrambled egg, and quark. 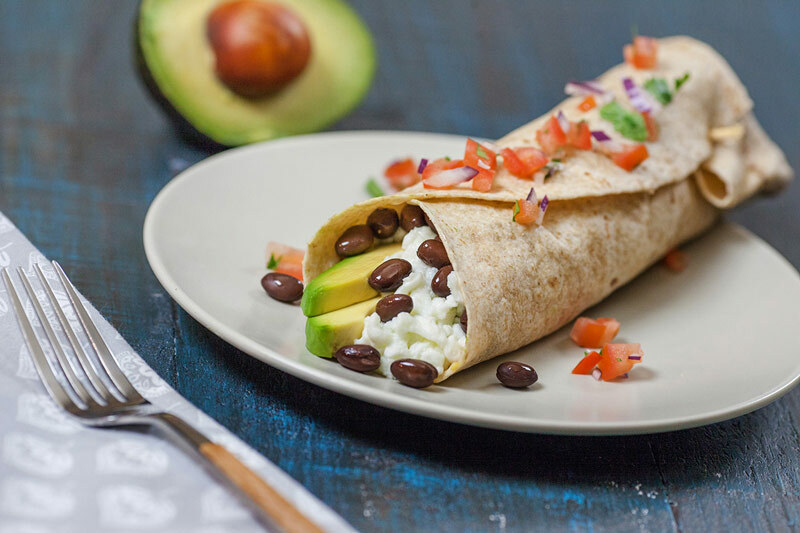 Black beans rank as one of the best beans for aminos and they’re stacked with dietary fiber. Fry them up in a pan with fat-burn friendly coconut and garlic in a pan until tasty AF. 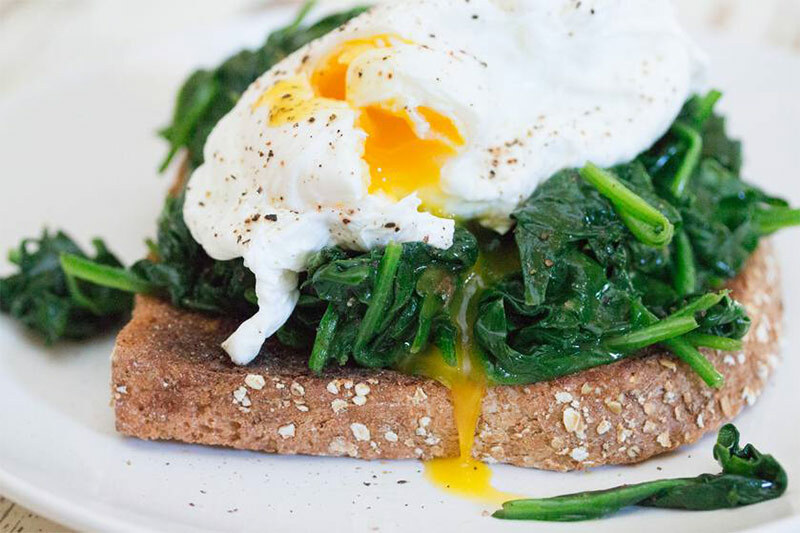 We’ve already talked about how eggs rule the roost at breakfast. Yet, to take our lean, mean, weight loss theme further, we’re strictly sticking with egg whites. 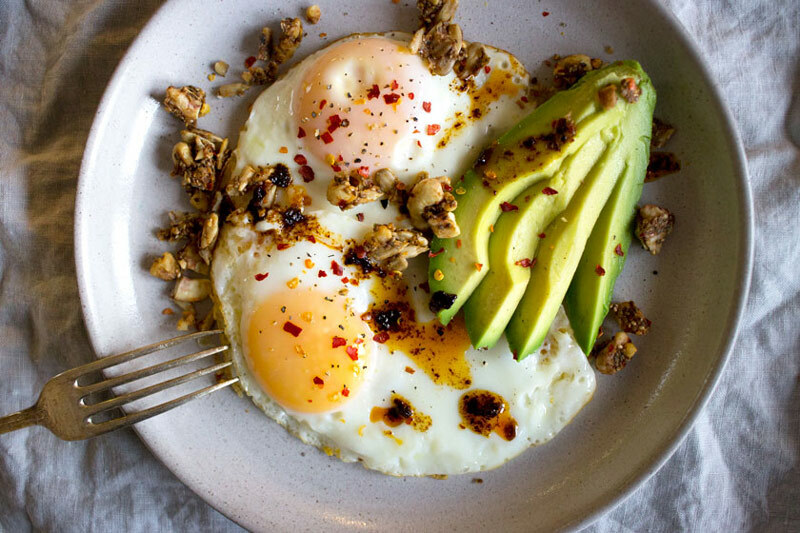 As most of the bulk lies in the yolk, exclusively eating the whites will help keep calories low. Just scramble as usual before scattering across two tortillas. Quark, for those who don’t know, is the real dark horse of dairy. Similar to the popular choice of cottage cheese, Quark is a lighter and creamier version with significantly fewer calories. Spoon it onto almost anything for an awesome protein boost without breaking the energy bank. Trust us, you’ll never look back bro. Bro, we’re gonna level with you. The only way regular dudes can lose weight is by staying in a calorie deficit. Simply put, you’ve got to be burning more calories in a day than you consume. To keep you comfortable whilst in the trenches you’re cutting weight we’re gonna need an all-around healthy breakfast. That means a meal high in protein, complete with complex carbohydrates, and one that doesn’t skimp on essential fats. 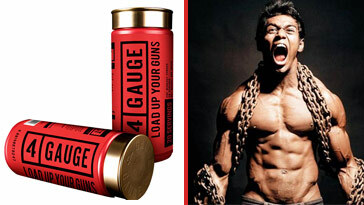 After all – life and an incredible physique is all about balance. The only issue is that we can’t cram our face with everything in the fridge if we want to keep kcals at bay. Fortunately, each one of the above suggestions fits the bill without putting anything to the wayside in terms of nutrition. Remember, think bang for your bulk when choosing foods. Therefore, our answer to you is, the healthiest breakfast in the world for weight loss is one that doesn’t cut corners. Cover all your macro bases first and then make sure you dial, in the vitamins and minerals too. No matter if it’s oats or burritos, be smart in your approach and selection. Our bodies are complex machines bro on a quest to get shredded. So, feed ‘em the good stuff, stick to nutritious whole foods wherever possible, and don’t forget the protein. Now go crush hunger, bro! Is Eating Liver Good for Weight Loss?